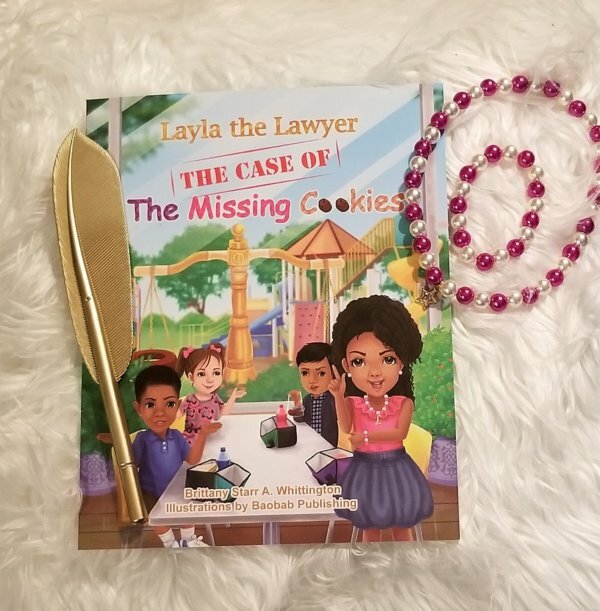 Layla the Lawyer Bundle Gift Set! Home Shop Layla the Lawyer Bundle Gift Set! Get a girl that you would like to inspire the perfect gift!!! Layla the Lawyer Bundle Gift Set! With the Bundle Gift Set, she will be ready to Lawyer with Layla!!!!! The Set INCLUDES: THE CASE OF THE MISSING COOKIES BOOKS, CUSTOMIZED PEARL NECKLACE AND BRACLET AND CHOICE OF FEATHERED PEN!! With a copy of her book: Read it! Figuring out the dispute: Post who did it! Using Lawyer Lingo: Learn and use lawyer words. CUSTOMIZED PEARL NECKLACE: You can choose from: Pink and white pearls with no charm, Charm with Child’s first letter of her name, “L” charm, star charm. Please put your requests in the comments.